© Danté Fenolio. These images are here for your enjoyment. The copyrights to all images on this site are held by the photographer. Do not replicate, copy, or use in any fashion the images from this web site without express written consent of the photographer. 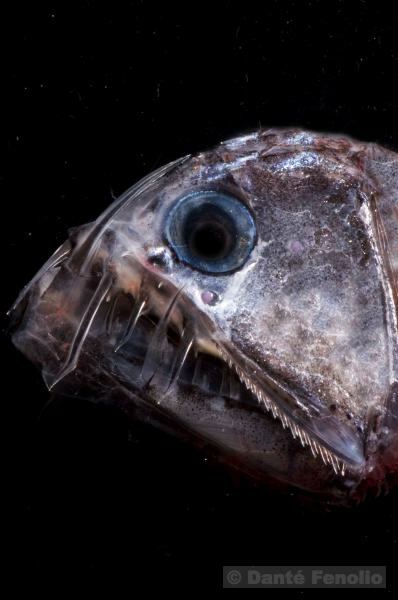 Chauliodus sp, a viperfish, was collected between 640 and 1000 meters depth. This is an adult (~12 inches).